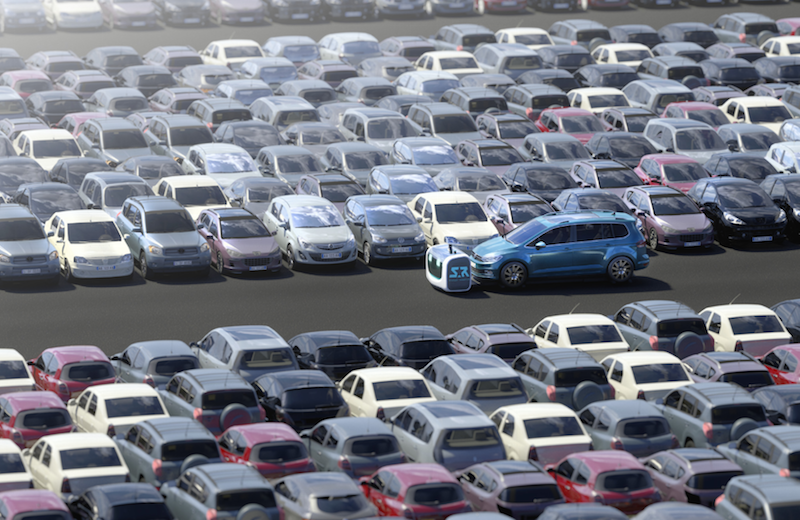 Gatwick Airport in the UK has submitted a planning consultation to its local council for a new robotic parking solution, which could increase parking capacity from 6,000 self-park spaces to 8,500 robotic parked valet spaces. Gatwick will work collaboratively with car parking robotics company Stanley Robotics on the project. Stanley Robotics opened a similar outdoor car park robotic installation at Lyon Saint-Exupéry Airport in 2018. The aim is for the airport to commence preparatory works on the car parking areas, such as rehabilitating the site and removing lighting columns, in April 2019, with the intention of completion by August 2019. The trial period is planned to last for an initial period of three months before a decision is taken as to whether robotic parking offers a viable future at Gatwick. The trial is proposed to take place within Zone B of the long-stay car park. To use the robotic car parking solution, a passenger will drive into the car park area and park their car in one of the numbered vehicle cabins. A touchscreen kiosk on the vehicle cabin allows customers to confirm their parking booking. The passengers then leave their vehicle (retaining their keys) and make their way to the terminal. Once the passengers have left the cabin, the vehicle cabin is automatically secured. The valet robot then collects the car by sliding its carrier underneath the car and takes it to a parking space in the secured parking area. The car parking service is connected to the customer’s flight information so that upon a passenger’s return the car is retrieved by the robot and returned to a designated vehicle cabin ready for the passenger’s arrival. Unlike normal valet operations with block parking undertaken by drivers, the use of robotic technology means more cars can be parked in the same area because of the parking precision and the fact that driver side doors do not need to be left accessible. If the trial is successful, it is possible that the project will be extended to other parts of the car parking estate. In its consultation to the council, Gatwick Airport has asked for comments by February 15, 2019. A video of the Stanley Robotics solution in action can be seen here.